Solar panels are a great investment that pay for themselves within a few years. They help to decrease your energy expenses while increasing the value of your house. The electricity that comes from the solar panels are generated through cells. These cells convert sunlight energy into electricity which is then used in homes. When you need a reputable and efficient service to install your solar energy system, think of us first at Polaris Development and Construction. 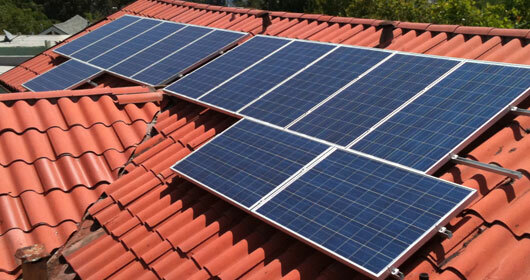 We install hundreds of solar panels throughout Los Angeles. 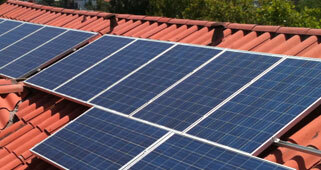 Our service professionals are highly-qualified and skilled in the installation of solar panels. 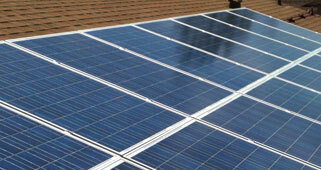 They have received all of the necessary training and have years of experience in the installation of solar panels. Their level of experience and training make them experts in their field. Our service professionals will help you from the design process to the actual installation. 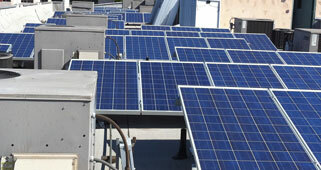 We go as far as to help assist you in the maintenance, repairing and monitoring of your panels, once installed. Our design process begins with a consultation with you to discuss which type of solar panels will be best for your family's energy needs. When designing a custom solar system, we will also evaluate your homes structure to decide which of our solar systems will be best suited for you. We take our time to get to know our customers and their needs while discussing the benefits that the installation of solar panels will offer them. During the design process we will decide what size solar panel system you will require, the type of panels necessary and the expenses that will be associated with the installation of your new solar system. After the design process, our service professionals will go to work on installing your new solar energy panels. Depending on the size of the job, the installation will usually last between 1 to 5 days. Your solar panel installation consist of racking, trenching, inverter installation, calibration, panel installation, monitoring installation and clean up. We will also arrange all of the final inspections to ensure that the panels are properly installed for maximum efficiency. Our service doesn't end with the installation of your solar energy system, we monitor your solar panels to make determine how much energy they are producing and in order to make certain that they remain in good working condition to ensure that they are performing effectively. If homeowners would like to monitor their family's energy usage, we can also install a monitoring system which will enable them to do so. If you discover any problems with your solar panels or determine that there is an issue with the efficiency of your system, you can rely on us to find a solution to your concerns. It is important that you know exactly what you have purchased and are satisfied with the results of your new solar panels. We value and appreciate our customers at Polaris Development and Construction and that is why we will go above and beyond to ensure that our customers are completely satisfied with the results of the work that we offer to them. Our team can handle any job, big or small. Our service area includes Greater Los Angeles County, as well as, Venture County and Orange County. We dispatch our team of professional service professionals daily, to these locations, in order to provide you with the high-quality service that we have become known for. If you are energy conscience, you may want to give serious consideration to how a solar system installed on your home, can benefit you. Call us today for your no-obligation, complimentary consultation and estimate.